We always find people that are looking for a quality and new computer build that can serve their specific needs and have a longer life expectancy. Some consumers may want to use a PC for their basic computing need such as checking emails, for saving photos, for social networking and office applications. Same consumer might wish to expand their capabilities and wanted to get involved with other applications like games or video editing. 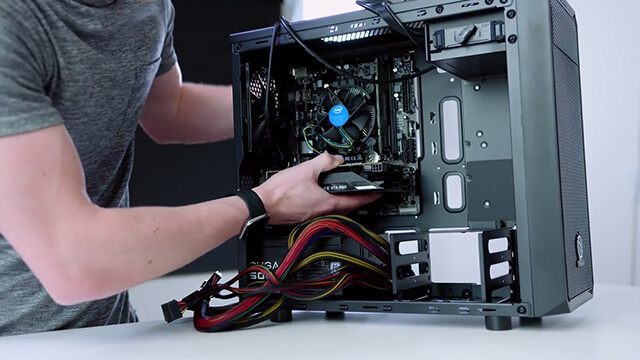 Here at Reboot Computer Repairs Wishart, we never fail to deliver a custom made solutions to fit each and every need of our valued customers, even if it’s a need for a custom built PCs. At Reboot Computer Repairs Wishart, we know how to help you in deciding which computer parts are the most cost-effective, durable and reliable. Every hardware parts are carefully considered starting from CPU, memory capacity, hard drive storage capacity, choosing between HDD or SSD, most suitable motherboard up to the smallest detail such as choosing the right monitor or input devices like mouse and keyboard. Our experts will make sure that your custom built computer is properly bench-marked and well tested before we deliver it for you. We will install the operating system of your choice including the drivers and software of your preference. All necessary updates and security patches will also be installed making sure that your computer is up to date and secured. Call us now at (07) 3155 2002 and let us start building your custom computer for you. You can visit our workshop anytime and have a free consultation with our experts. Reboot Computer Repairs Wishart is open 7 days a week from 7am up to 10pm and even on holidays. Our service is absolutely free of call out fees and travel costs! You can always check from our customer reviews whenever deciding whether to give us a call and you will be confident that you will get a trustworthy and expert service anywhere in Wishart.